Al-hadith literally refers to the speech of a person (words) or conversation. 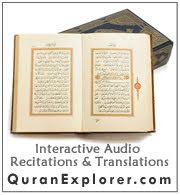 In Islamic terminology, Al Hadith [ Arabic: الحديث pronounced: /ħadiːθ/; pl. aḥādīth; lit. "narrative" ] means the tradition or collection of traditions attributed to the Prophet Muhammad (SAW) that include his sayings, acts, and approval or disapproval of things. Hadith is revered by Muslims as a major source of religious law and moral guidance. By traditional schools of jurisprudence, Hadith are regarded as important tools for understanding the Al Qur'an and in matters of jurisprudence. Hadith were evaluated and gathered into large collections mostly during the reign of Umar bin Abdul Aziz during the 8th and 9th centuries. These works are referred to in matters of Islamic law and history to this day. The two main denominations of Islam, Shi`ism and Sunnism, have different sets of Hadith collections. Classical hadith specialist Ibn Hajar says that the intended meaning of hadith in religious tradition is something attributed to Prophet Muhammad SAW, as opposed to the Qur'an. 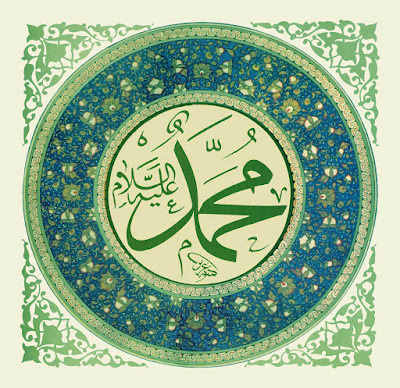 Other associated words possess similar meanings including: khabar (news, information) often refers to reports about Muhammad, but sometimes refers to traditions about his companions and their successors from the following generation; conversely, athar (trace, vestige) usually refers to traditions about the companions and successors, though sometimes connotes traditions about Muhammad. The word sunnah (custom) is also used in reference to a normative custom of Prophet Muhammad SAW or the early Muslim community. Hadith, as a discipline, consists of two branches, the first concerned with the validation of the individual traditions through the process of biographic examination of its chain of transmitters back to the Prophet (isnad), and the second concentrating on the actual content of the validated traditions (matn) as a source of religious authority. Since the formalization of Islam, this source of authority has been viewed as second only to the Qur'an. Hadith currently exists in two main sets of collections, corresponding to the Sunni and Shiite division within Islam. Sunni Islam recognizes as authoritative the collections of Bukhari and Muslim followed in importance by those of Abu Dawud, Tirmidhi, an-Nasai, and Ibn Maja. Shiite Islam accepts only traditions traced through Sayyidina Ali's (Radiyallahu Anhu) family. The major Shiite collections are those of al-Kulini, al-Babuya al-Qummi, and al-Tusi.